The Ascension Gatherings present the opportunity to have answered your queries about the nature of Spirit, the Awakening process, spiritual energies, ascension awareness and what has happened since the infamous date of 21 December 2012. The event will involve questions being placed to the team, which we hope will provide the answers you are seeking, as well as benefit the understanding of the group as a whole. Paul is a Cosmic Messenger, Ascension Architect and Stone Whisperer. From a business orientated corporate background, overnight he experienced a Sacred Fire Kundalini Awakening followed by a Higher-Self walk-in (known as Polaris AB) which presented an amazing wealth of knowledge about the true nature of Spirit, dimensions and energy fields. Paul writes regular online articles about the ongoing Ascension process, energy updates on Facebook and on his web site to assist those who are gradually expanding their inner awareness to find meaning and purpose in their lives. 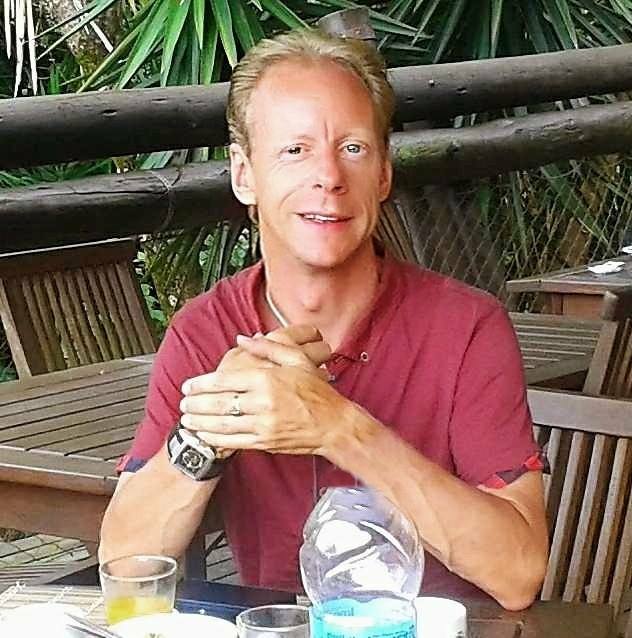 In addition to overseas travelling to many beautiful Sacred Sites, Paul provides fascinating Stone Balancing tuition and international workshops on Living in the Fifth Dimension. He also offers global online sessions and 1-1 attunements for the activation of his client’s Divine Higher Self to assist navigating with the multi-dimensional shift in crystalline consciousness. Sally is a healing facilitator and multidimensional explorer, specialising in QHHT (Quantum Healing Hypnosis Technique), Dolores Cannon’s method of past life regression and reconnection with the whole self. 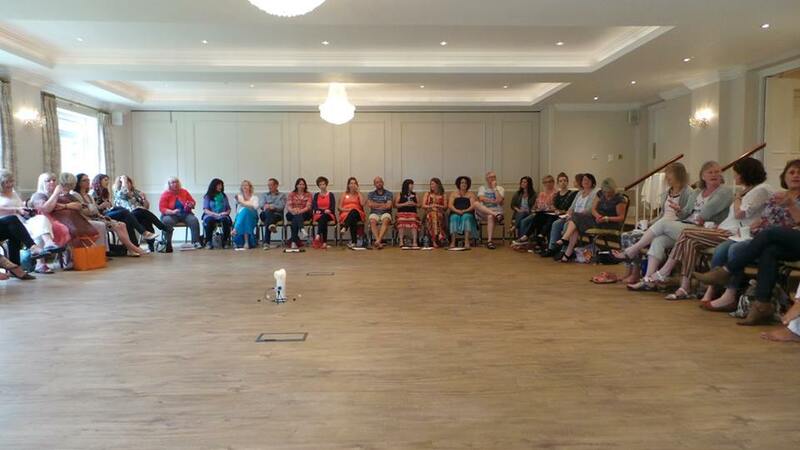 Sally has been gathering light-seekers together in the Southampton area for over ten years, exploring what it's possible to co-create when we come together with a group intention. She combines quantum journeying with vibrational light healing to take the physical body into a deeply relaxed state, where the human self dissolves and merges with the multidimensional self, ultimately accessing the field of Oneness or Source. In this space-time we retrieve knowledge and remember our collective and individual purpose. Sally is available for individual QHHT sessions in Southampton, and holds a weekly free distance healing group transmission to assist individual and planetary ascension. Tim is a Hay House author, international speaker and workshop facilitator from Poole, Dorset. He was a High Priest in the era of Atlantis and Ancient Egypt, and is using his collective memories to bring through the spiritual gifts and information stored away in those times. His current work with ancient Atlantean technologies is already helping those on a spiritual path around the world. Tim runs workshops, Skype sessions and writes a regular blog for his co-author Diana Cooper. Together, they wrote the immensely popular Archangel Guide to Ascension-55 Steps to the Light, and the The Archangel Guide to Enlightenment and Mastery - Living in the 5th Dimension, both published by Hay House UK. His work can also be found on his website www.timwhild.com, and you can connect with him via his Facebook pages Tim Whild – Practical Ascension and Crystals and Skulls – Tim Whild. Once again, Jackie White is gathering everyone together for an evening of powerful Solstice Light Work. Sally Sherin, Paul Dobree-Carey and Tim Whild are the Ascension Panel ready to share their wide spectrum of knowledge and energies on this auspicious date. On the 21st December, the light influx begins as the longest night reaches its peak and triggers five days of intensive downloads preceding the New Year. The 'Unity Year' of 2017 has been a truly astonishing cycle, and for some of us the most challenging that we have experienced yet on our spiritual pathway. The twelve months will be thoroughly covered over the course of the gathering, along with some powerful energy activations that can be taken home and used on an everyday basis. Whether you are fully awake, semi-conscious or simply mildly curious, this evening is for you as we unify our energy fields to set a pure template of higher consciousness for the next phase of our individual and collective journeys. Our presenters are experts in their individual fields and will be bringing their knowledge to assist with the practical aspects of life in the Golden Age we are all moving into. They have also worked together on many occasions, sharing important journeys since the Cosmic Moment in 2012. 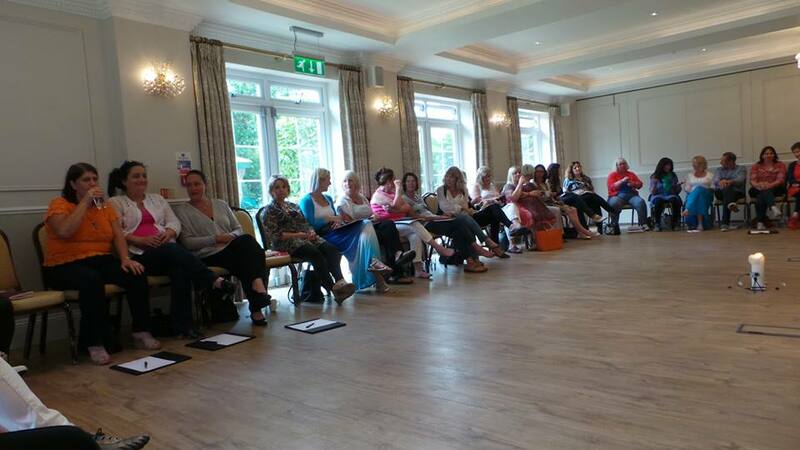 Jackie White is a Happiness Coach and facilitator of Inspirations Positive Living Group in Southampton, where motivational speakers join her weekly to share their knowledge on a variety of subjects to the group. 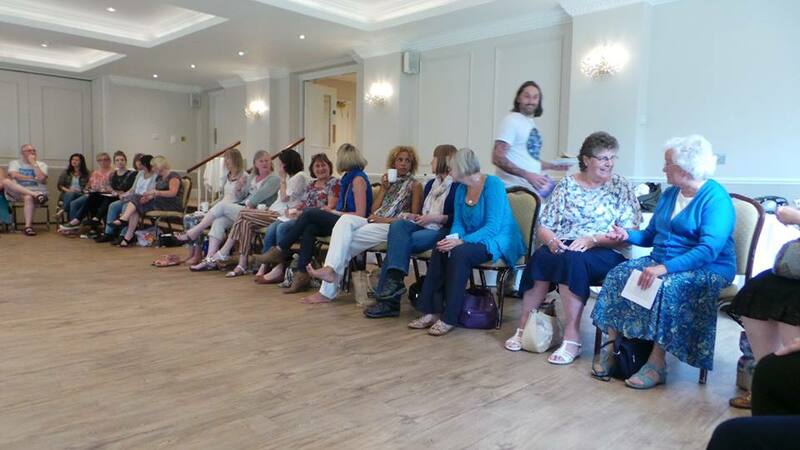 This has been running for over four years now and in that time there have been many wonderful workshops, coach trips and psychic suppers as well as the weekly meeting. The Ascension Circle was created after having Sally Sherin, Tim Whild & Paul Dobree-Carey individually as speakers where all three have supported each other at their talks and were so in tune with each other Jackie suggested a joint event almost three years ago and the Ascension Circles has run very successfully ever since. We heard a short version of the incredible Kundalini awakening that Paul Dobree-Carey experienced on June 14th 2009 and the walk in of a higher aspect of himself 4 days later. The prolific writing and journey that has followed, without doubt he is a pure channel, who could retain the information that came through him during the evening if not? Everyone of us are so important in taking Gaia into the next stage. Sally Sherin encouraging us to realize that everything is right, that meetings like this is food for the soul, equally important are the break times to enjoy and remember our connections. The energetic exchanges that were planned a long time ago. So much has come up to the surface to be cleared ready for 2017 Unity Consciousness. We talked about the 12 Chakra system and the Merkaba. The need to still the mind and focus on what is yours - Simplify. Simplify with everything including relationships. Our Purpose, our higher self knows our purpose and will gently be pushing us to where we want to be. To love yourself is so important to see the good in you. Don't hand our power to others, we are wise, speak to yourself, ask questions and listen for the answers. Notice where the answers come from over the next few days. Does what you do give you meaning? You have gifts, skill sets and talents. Star Family, tell me what I need to hear, show me what I need to see. Inspirations Positive Living Group are delighted to invite you to this wonderful afternoon and an opportunity to meet three Ascension Masters - of course, we are all Ascension Masters at varying degrees of understanding ♥ You may well know some or all of them as we are fortunate that they all live fairly local to us. The four of us are coming together with the group intention of creating an energetic space for the highest truth which we can collectively access to be shared, for the highest good of ALL. Your participation is a key in this co-creation process, because the group energy creates a vortex of intention, allowing us to access the perfect information for everyone present on this date.